ZTE has launched a Nubia My Prague under the brand Nubia and the company is claiming that this phone will be the slimmest smartphone in its collection till yet. This smartphone is supporting a remarkably thin body with a thickness of just 5.5m, and hence, it intends to be a tough competitor amongst the Gionee Elife S7 and Vivo X5 Max, having a slim body featuring the thickness of 5.5mm and 4.7mm, respectively. The phone was announced publically at an event in Prague, Europe. However, at the event, ZTE did not clarify whether the My Prague can be used outside Czech Republic or not. As for the costs, the 2GB RAM White/Silver version will have a price of EUR 349 (roughly Rs. 26,600) while the device with 3GB RAM White/Gold variant will be sold at EUR 429 (roughly Rs. 30,200). 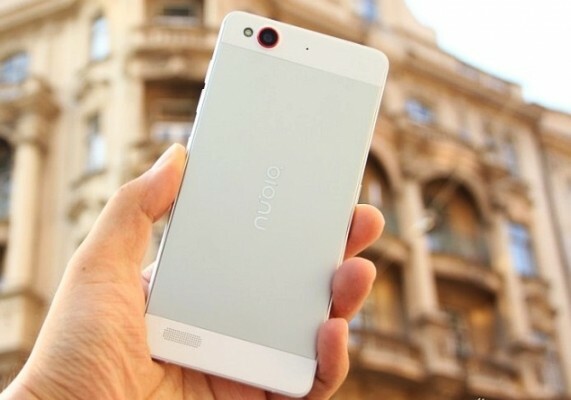 The dual-SIM featuring Android 5.0 Lollipop-based ZTE Nubia My Prague is highlighting a 5.2-inch Super Amoled full-HD (1080x 1920 pixels) resolution display. This smartphone is clad in a metal covering and is powered by a 64-bit octa-core Snapdragon 615 processor. Based upon the RAM and in-built memory for storage, this versatile handset is available in two variants, 2GB RAM + 16GB in-built storage and 3GB RAM + 32GB inbuilt storage. However, no details about the expandable memory storage via the memory SD cards is yet unavailable. The graphics are taken well care of, under the Adreno 405. The most important mentionable fact at this moment is that the smartphone is loaded with a AM4375 audio chip. The first launch is confirmed by a Czech site SvetAndroida (via GSMDome). The 4G LTE-enabled ZTE Nubia My Prague is having a 13-megapixel rear camera with ISOCELL sensor and LED flash along with an 8-megapixel front-facing camera to enable the userbase experience a wonderful time. The camera is including several functions including Pro Mode, Time-lapse, Multi Exposure, Trajectory, Panorama, and Long Exposure. The Nubia My Prague has been backed by a 2200mAh battery, which is expected to deliver up to 27 hours of talk time and 426 hours of standby time. It includes the connectivity features like Bluetooth 4.0, Wi-Fi, GPS, and USB-OTG connectivity.